Published By – Crestview Music Corp.
From back cover: "This Combination of musicians is one of the best I have ever played with and by recording it live, I hoped to capture the good feeling in the room when the played. As my ex-partner Redd Holt used to say: 'You got to dig it to dig it, dig it.' 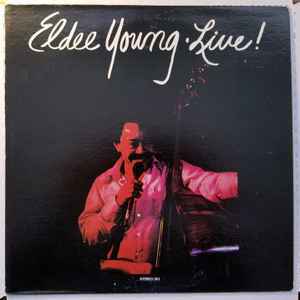 -Eldee Young"
"Recorded live in Chicago, Ill., by UNCLE TUNES RECORDING"